These students of Nelson Street Boys RC have fun while learning through the use of the Arrow learning software. THE Arrow Foundation is pressing on with its push for literacy development, this time with the ardent support of the JB Fernandes Memorial Trust and the Nelson Street Boys Roman Catholic (RC) Primary School. Managing director of the Arrow Foundation Christopher Bonterre said the "beacon status" programmes ensure teachers and staff receive training and support to raise literacy levels and also to deal with issues like crisis and trauma that may hamper learning. Fifty pupils are involved in the intervention phase, following which the Nelson Street school will continue to run the programme independently for two years. All of the pupils, however, have the opportunity to benefit from this literacy intervention programme with support from trained Arrow tutors, said a media release. 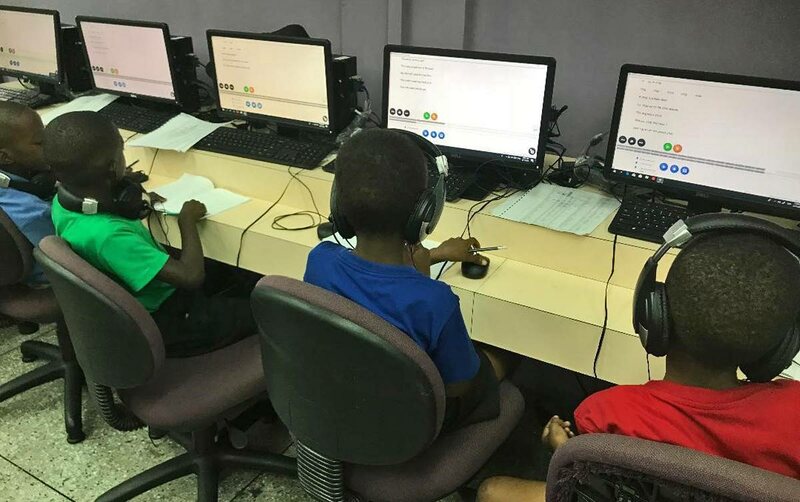 The computer-based programme focuses on remedial work in reading, spelling, dictation, speech and listening skills and assists pupils who experience academic challenges by transforming their entire approach to learning. Teachers who have been trained in Arrow techniques are working towards receiving their certification from the United Kingdom. The computer-based learning programme applies use of the self-voice – a recording of the learner’s own voice while reading – which forms the basis of the multi-sensory learning approach. The school is also conducting a number of workshops and interventions to enhance the literacy training and these include crisis intervention management, brain-based learning and trauma. Another of Arrow's main focus areas is raising self-esteem through literacy improvement, which has proved to be a vital benchmark in addressing behavioural problems in pupils. Bonterre explained that international research has shown that much of the aggressive behaviour found in schools is rooted in pupils' academic failure and the frustration that manifests as a result. “When students are able to read and write properly, they feel better about themselves, enabling them to engage in more purposeful and fulfilling activities,” Bonterre said. Bonterre praised JB Fernandes Memorial Trust for facilitating the programme, which has allowed neighbouring schoolteachers to attend the workshops at the school. The local Arrow Foundation is a non-profit organisation, which has a record of accomplishment over the past 15 years, and has transformed the lives of thousands of children, the release said. 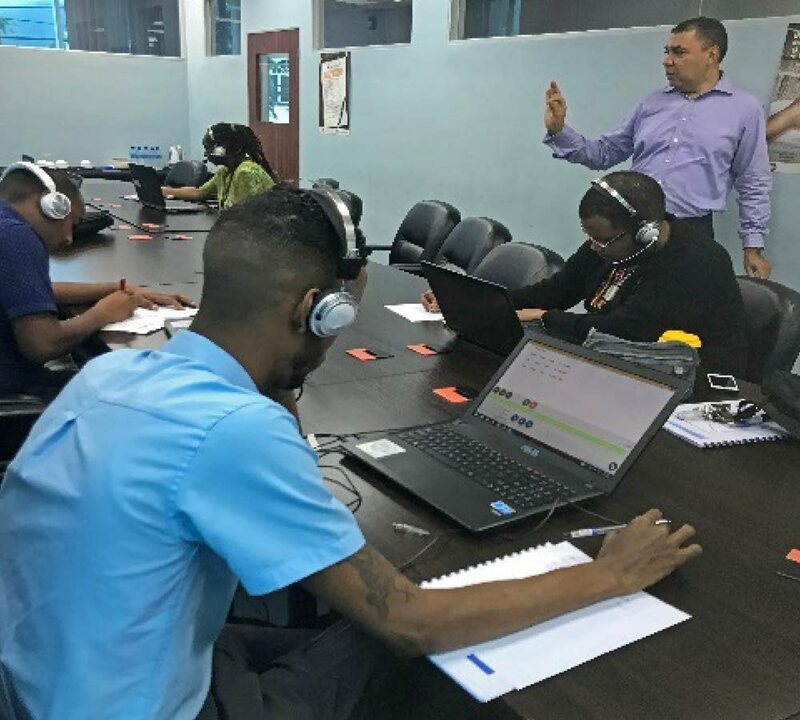 Based on results, the foundation has been able to expand its reach through support from organisations including BPTT, RBC Royal Bank, Methanex Trinidad Ltd, Citizen’s Security Programme, Angostura and Atlantic. Reply to "Arrow points way forward at Nelson Street Boys"